In July some big financial news was made that normal folks probably didn’t hear or care about. An organization no one has ever heard of, the Financial Conduct Authority, revealed something mostly unknown, Libor, the London interbank offered rate, is to be phased out in 2021. Everyday, bank panels around the globe – one for each major currency – submit an estimation of the interest rate they charge to lend to one another, backed up by transaction data. This interest rate underpins a wide range of financial products, from futures and derivatives to mortgages, worth at least $450trn. So bankers who have trillions in derivative bets dependent on the direction of Libor, participate in the setting of the rate. What could go wrong? Readers may have read about a certain scandal with big banks paying big fines for manipulating the rate. Whether consumers know it or not, according to Bankrate.com in 2012, $10 trillion in mortgages, consumer and student loans were tied to Libor. While most banks were in on the rate skullduggery and senior management knew all about it, to the extent heads of money center banks know the particulars of Libor and derivative arcania, regulators and the courts got their pound of flesh from just one man, Tom Hayes, who today sits in a maximum security prison outside of London. When the authorities came to arrest him for manipulating Libor, “The officer pronounced it ‘lee-bore.’ Hayes couldn’t help himself. ‘You mean LIE-bore?’ he blurted, correcting the officer’s pronunciation,” Enrich writes. Hayes honestly thought misplacing his lucky t-shirt was the real reason he was arrested. Hayes saw no grey area, morally or otherwise. If everyone did it, and he could use his math skills and temper tantrums to exploit the system to earn profits for his employer, he was not only not doing anything wrong, but was excelling on the job. Indeed, he did, as top banks from around the world bid for his services. As for the regulators, in 2009 the Commodity Futures Trading Commission (CFTC) sent a letter to Citigroup in London asking “How did Libor work? “How did banks figure out the data they submitted every day?” and other rudimentary questions. That didn’t keep the head of the CFTC, Gary Gensler, from falsely taking credit for initiating the Libor investigation even though it had been underway for a year before his installation at the agency. A little nugget in Enrich’s book is the story of Thomas Youle, who was pursuing a doctorate at the University of Minnesota. He needed a topic for his doctoral thesis. He stumbled on the idea of researching the setting of Libor. His work determined, “banks [were] trying to push the benchmark in very specific directions.” His advisor urged him to complete his work as quickly as possible. Surely, an academic journal would be eager to publish the 30-page paper. Not hardly. A Journal of Finance editor was ruthless in his denial. “This is ridiculous,” the editor wrote. “Even if it’s true, who would care?” No academic journal was interested. That’s the question. Libor was manipulated for millions in profit, moving Libor a basis point lower or higher. However, who cares? 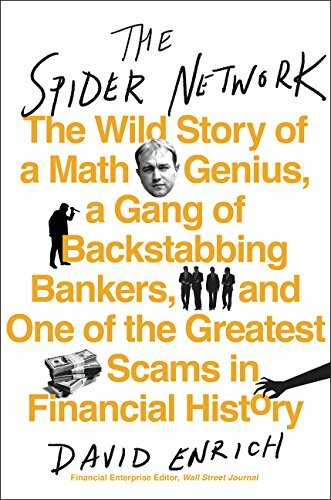 Ask the average person on the street to name the greatest financial scandals, I doubt many would name the Libor scandal before they mentioned Bernie Madoff, Enron, Worldcom, or the ‘08 financial crash.